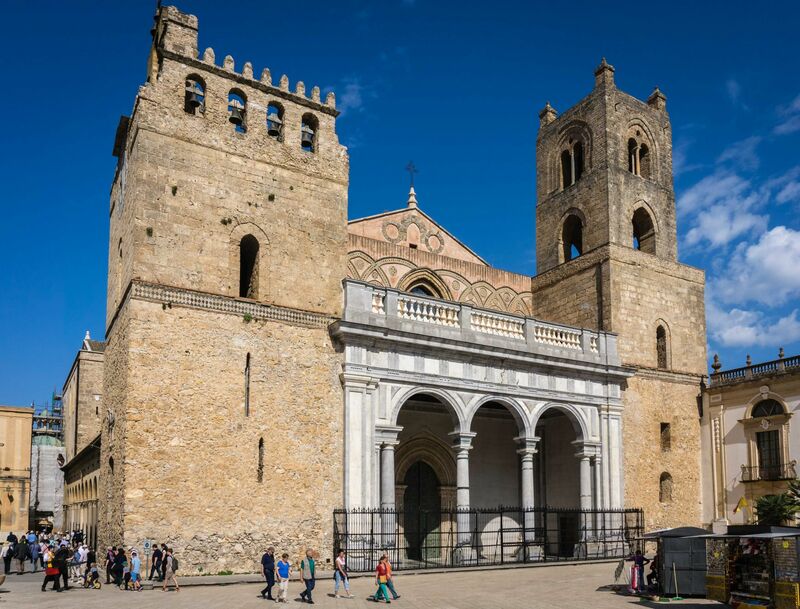 The cathedral of Monreale is one of the world's greatest examples of Norman architecture. Construction began in 1174 and in 1182 the church was dedicated to the Assumption of the Virgin Mary. Pope Lucius III elevated it to the rank of a metropolitan cathedral. What makes the cathedral so special are the extensive glass mosaics which cover the interior. Travel by car or local bus from Palermo, but good luck finding the bus stop at the Palermo end.